Our PM researchers have been in the project management software market since 2007. 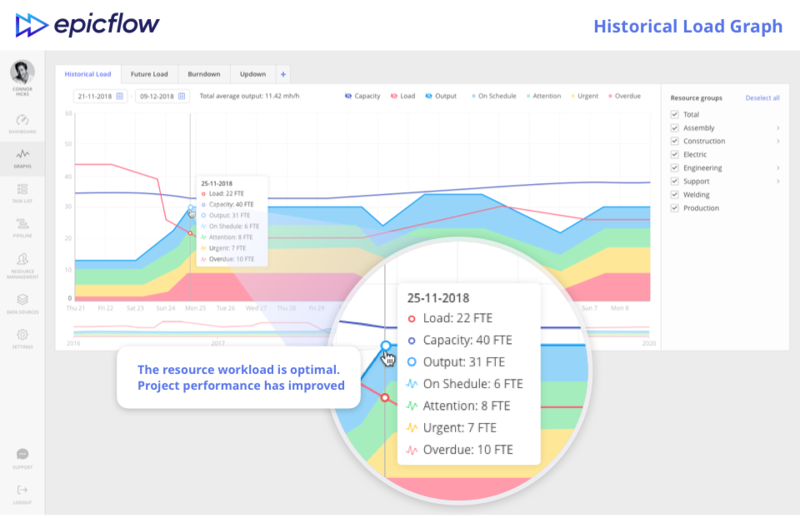 Three years ago, we re-launched Flow MPM system under the Epicflow brand name, improving the primary version and making it the best online multi-project management solution. The following are questions clients commonly ask us about the challenges of managing multiple projects and our solutions to them. How can I manage multiple projects effectively? Although there are many PM tools today, none of them focuses on multi-project environments in particular. For that reason, project managers have to combine various tracking systems and management solutions in an attempt to synchronize their projects. We realized it would be much easier if all project-related information could be stored in one place. That’s why we designed Epicflow, a multi-project management solution. 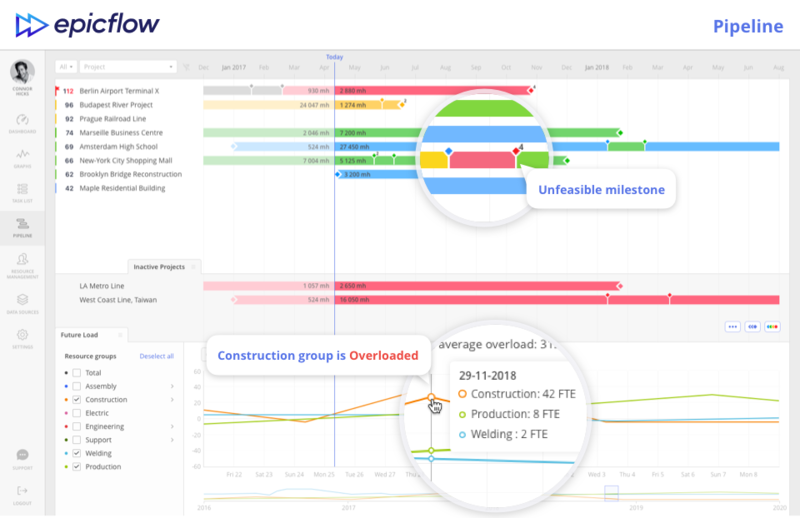 Epicflow is all about simplicity and utility: It lets you keep track of all projects, analyzes potential risks, makes project predictions, and provides solutions for overcoming obstacles that appear during the development process. Furthermore, Epicflow is flexible and compatible with other PM systems such as MS Project, Primavera, and Jira. How can I stop fighting for resources? With multi-project environments, resource allocation conflicts are frequent. We believe that proper task and resource prioritization is the only way to eliminate resource overload and make sure no one is on standby. Jan Willem Tromp, a co-founder of Epicflow, says that “an overloaded employee is the most dangerous threat project managers can experience, as one person can delay all projects.” In order to resolve this constraint, Epicflow offers an automated process of resource allocation, helping you share employees without causing project delays. Furthermore, the task prioritization feature makes sure employees always know what they need to do in what order to meet all deadlines. How can I always be updated on project progress? Having analyzed a lot of project statistics, we’ve realized that many projects fail simply because there’s no access to real-time data. That is to say, PMs learn about changes in their projects post factum, when nothing can be fixed. As a solution to this issue, Epicflow offers several ways for you to proactively respond to changes. For example, Bubble graph reflect the real-time status of each project by visualizing all projects on a dashboard. Therefore, you’ll always know if there’s a project in need of urgent attention. How can I make better and faster decisions? Making project decisions is quite a challenge, since it’s rather difficult to be certain if a decision is right. As a result, you’re often left wondering if your decision will actually make matters better. 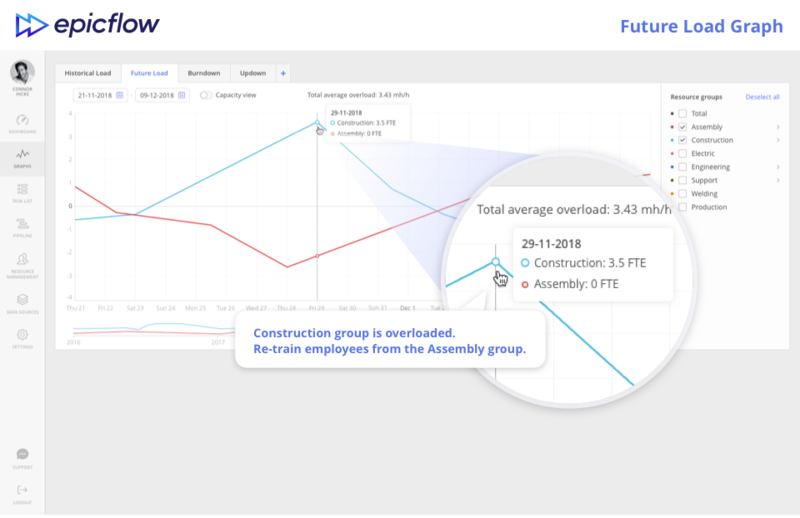 Epicflow has taken care of that: It offers what-if scenarios and project simulations so you can see what outcomes each decision will lead to. What-if analysis can also show you what’s going to happen if everything continues the way it is. This feature helps you identify and avoid risks and constraints before they materialize. How can I eliminate risks in my project? Everyone knows there’s no such thing as a risk-free project, which is why it’s better to be prepared in case something unpredictable happens. Epicflow is a great tool for risk management, as it handles risk identification, analysis, prioritization, response, and further monitoring. 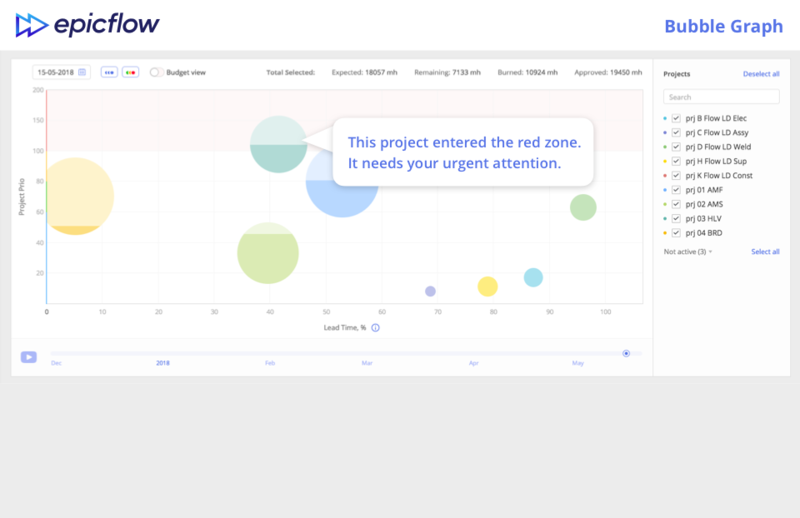 The Pipeline and Bubble graph inform you if there are current risks in your projects, while the Future Load graph visualizes future capacity constraints and potential resource overload. 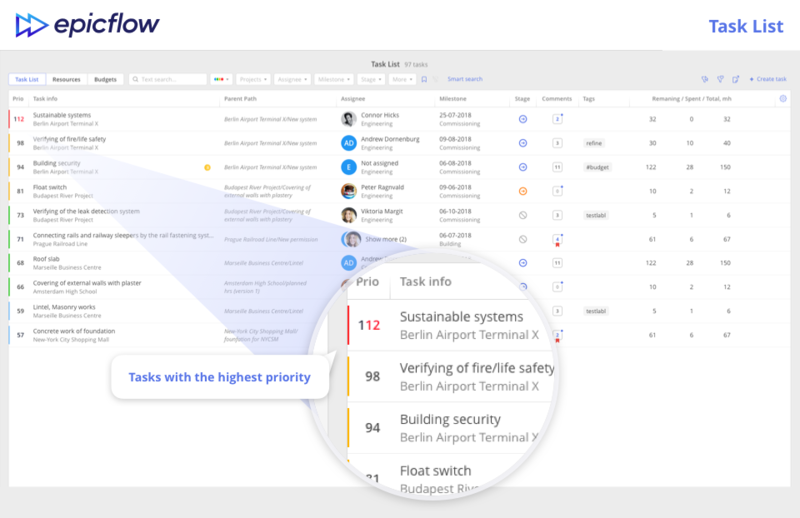 Epicflow also eliminates risks by prioritizing the most important tasks and making sure each employee delivers their part of the job on time. If you’re interested in saying goodbye to long-standing PM issues, provide your contact information in the form below to request an Epicflow demonstration. Our PM consultants will contact you to arrange a meeting and show you how to achieve maximum results with Epicflow.